"Rimsky-Korsakov" redirects here. For other uses, see Rimsky-Korsakov (disambiguation). Nikolai Andreyevich Rimsky-Korsakov (Russian: Никола́й Андре́евич Ри́мский-Ко́рсаков; IPA: [nʲɪkəˈlaj ɐˈndrʲejɪvʲɪtɕ ˈrʲimskʲɪj ˈkorsəkəf] 18 March [O.S. 6 March] 1844[a 1] – 21 June [O.S. 8 June] 1908) was a Russian composer, and a member of the group of composers known as The Five. [a 2] He was a master of orchestration. His best-known orchestral compositions—Capriccio Espagnol, the Russian Easter Festival Overture, and the symphonic suite Scheherazade—are staples of the classical music repertoire, along with suites and excerpts from some of his 15 operas. Scheherazade is an example of his frequent use of fairy tale and folk subjects. Rimsky-Korsakov believed, as did fellow composer Mily Balakirev and critic Vladimir Stasov, in developing a nationalistic style of classical music. This style employed Russian folk song and lore along with exotic harmonic, melodic and rhythmic elements in a practice known as musical orientalism, and eschewed traditional Western compositional methods. 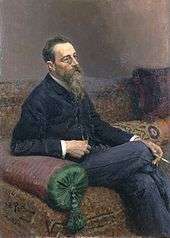 However, Rimsky-Korsakov appreciated Western musical techniques after he became a professor of musical composition, harmony and orchestration at the Saint Petersburg Conservatory in 1871. He undertook a rigorous three-year program of self-education and became a master of Western methods, incorporating them alongside the influences of Mikhail Glinka and fellow members of The Five. His techniques of composition and orchestration were further enriched by his exposure to the works of Richard Wagner. For much of his life, Rimsky-Korsakov combined his composition and teaching with a career in the Russian military—at first as an officer in the Imperial Russian Navy, then as the civilian Inspector of Naval Bands. He wrote that he developed a passion for the ocean in childhood from reading books and hearing of his older brother's exploits in the navy. This love of the sea might have influenced him to write two of his best-known orchestral works, the musical tableau Sadko (not to be confused with his later opera of the same name) and Scheherazade. Through his service as Inspector of Naval Bands, Rimsky-Korsakov expanded his knowledge of woodwind and brass playing, which enhanced his abilities in orchestration. He passed this knowledge to his students, and also posthumously through a textbook on orchestration that was completed by his son-in-law, Maximilian Steinberg. Rimsky-Korsakov left a considerable body of original Russian nationalist compositions. He prepared works by The Five for performance, which brought them into the active classical repertoire (although there is controversy over his editing of the works of Modest Mussorgsky), and shaped a generation of younger composers and musicians during his decades as an educator. Rimsky-Korsakov is therefore considered "the main architect" of what the classical music public considers the Russian style of composition. 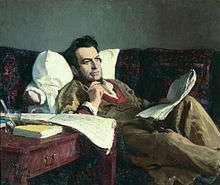 His influence on younger composers was especially important, as he served as a transitional figure between the autodidactism which exemplified Glinka and The Five and professionally trained composers which would become the norm in Russia by the closing years of the 19th century. While Rimsky-Korsakov's style was based on those of Glinka, Balakirev, Hector Berlioz, and Franz Liszt, he "transmitted this style directly to two generations of Russian composers" and influenced non-Russian composers including Maurice Ravel, Claude Debussy, Paul Dukas and Ottorino Respighi. Rimsky-Korsakov was born in Tikhvin, 200 kilometres (120 mi) east of Saint Petersburg. The father of the composer, Andrei Petrovich Rimsky-Korsakov (1784-1862), though born out of wedlock, went on to serve first as the vice-governor of Novgorod, and then in the Volhynian Governorate. 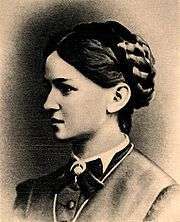 The composer's mother, Sofya Vasilevna, was the daughter of a peasant serf and a pomeshchik (landlord). 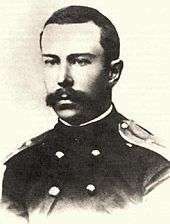 The Rimsky-Korsakov family had a long line of military and naval service. Nikolai's older brother Voin, 22 years his senior, became a well-known navigator and explorer and had a powerful influence on Nikolai's life. He later recalled that his mother played the piano a little, and his father could play a few songs on the piano by ear. Beginning at six, he took piano lessons from local teachers and showed a talent for aural skills, but he showed a lack of interest, playing, as he later wrote, "badly, carelessly, ... poor at keeping time." Although he started composing by age 10, Rimsky-Korsakov preferred literature over music. He later wrote that from his reading, and tales of his brother's exploits, he developed a poetic love for the sea "without ever having seen it." This love, and prompting from Voin, encouraged the 12-year-old to join the Imperial Russian Navy. He studied at the School for Mathematical and Navigational Sciences in Saint Petersburg and, at 18, took his final examination in April 1862. While at school, Rimsky-Korsakov took piano lessons from a man named Ulikh. These lessons were sanctioned by Voin, who now served as director of the school, because he hoped they would help the youth to develop social skills and overcome his shyness. Rimsky-Korsakov wrote that, while "indifferent" to lessons, he developed a love for music, fostered by visits to the opera and, later, orchestral concerts. Ulikh perceived that he had serious musical talent and recommended another teacher, Feodor A. Kanille (Théodore Canillé). Beginning in the autumn of 1859, Rimsky-Korsakov took lessons in piano and composition from Kanille, whom he later credited as the inspiration for devoting his life to musical composition. Through Kanille, he was exposed to a great deal of new music, including Mikhail Glinka and Robert Schumann. Despite Rimsky-Korsakov's now liking his music lessons, Voin cancelled them when Rimsky-Korsakov was 17, as he felt they no longer served a practical need. Kanille told Rimsky-Korsakov to continue coming to him every Sunday, not for formal lessons but to play duets and discuss music. In November 1861, Kanille introduced the 18-year-old Rimsky-Korsakov to Mily Balakirev. Balakirev in turn introduced him to César Cui and Modest Mussorgsky; all three were known as composers, despite only being in their 20s. Rimsky-Korsakov later wrote, "With what delight I listened to real business discussions [Rimsky-Korsakov's emphasis] of instrumentation, part writing, etc! And besides, how much talking there was about current musical matters! All at once I had been plunged into a new world, unknown to me, formerly only heard of in the society of my dilettante friends. That was truly a strong impression." Balakirev encouraged Rimsky-Korsakov to compose and taught him the rudiments when he was not at sea. Balakirev also prompted him to enrich himself in history, literature and criticism. When he showed Balakirev the beginning of a symphony in E-flat minor that he had written, Balakirev insisted he continue working on it despite his lack of formal musical training. By the time Rimsky-Korsakov sailed on a two-year-and-eight-month cruise aboard the clipper Almaz in late 1862, he had completed and orchestrated three movements of the symphony. [a 3] He composed the slow movement during a stop in England and mailed the score to Balakirev before going back to sea. At first, his work on the symphony kept Rimsky-Korsakov occupied during his cruise. He purchased scores at every port of call, along with a piano on which to play them, and filled his idle hours studying Berlioz's Treatise on Instrumentation. He found time to read the works of Homer, William Shakespeare, Friedrich Schiller and Johann Wolfgang von Goethe; he saw London, Niagara Falls, and Rio de Janeiro during his stops in port. Eventually, the lack of outside musical stimuli dulled the young midshipman's hunger to learn. He wrote to Balakirev that after two years at sea he had neglected his musical lessons for months. "Thoughts of becoming a musician and composer gradually left me altogether," he later recalled; "distant lands began to allure me, somehow, although, properly speaking, naval service never pleased me much and hardly suited my character at all." In the fall of 1871, Rimsky-Korsakov moved into Voin's former apartment, and invited Mussorgsky to be his roommate. The working arrangement they agreed upon was that Mussorgsky used the piano in the mornings while Rimsky-Korsakov worked on copying or orchestration. When Mussorgsky left for his civil service job at noon, Rimsky-Korsakov then used the piano. Time in the evenings was allotted by mutual agreement. "That autumn and winter the two of us accomplished a good deal", Rimsky-Korsakov wrote, "with constant exchange of ideas and plans. Mussorgsky composed and orchestrated the Polish act of Boris Godunov and the folk scene 'Near Kromy.' I orchestrated and finished my Maid of Pskov." Rimsky-Korsakov's reputation at this time was as a master of orchestration, based on Sadko and Antar. However, he had written these works mainly by intuition. His knowledge of musical theory was elemental; he had never written any counterpoint, could not harmonize a simple chorale, nor knew the names or intervals of musical chords. He had never conducted an orchestra, and had been discouraged from doing so by the navy, which did not approve of his appearing on the podium in uniform. Aware of his technical shortcomings, Rimsky-Korsakov consulted Pyotr Ilyich Tchaikovsky, with whom he and the others in The Five had been in occasional contact. Tchaikovsky, unlike The Five, had received academic training in composition at the Saint Petersburg Conservatory, and was serving as Professor of Music Theory at the Moscow Conservatory. Tchaikovsky advised him to study. In the spring of 1873, the navy created the civilian post of Inspector of Naval Bands, with a rank of Collegiate Assessor, and appointed Rimsky-Korsakov. This kept him on the navy payroll and listed on the roster of the Chancellery of the Navy Department but allowed him to resign his commission. The composer commented, "I parted with delight with both my military status and my officer's uniform", he later wrote. "Henceforth I was a musician officially and incontestably." As Inspector, Rimsky-Korsakov applied himself with zeal to his duties. He visited naval bands throughout Russia, supervised the bandmasters and their appointments, reviewed the bands' repertoire, and inspected the quality of their instruments. He wrote a study program for a complement of music students who held navy fellowships at the Conservatory, and acted as an intermediary between the Conservatory and the navy. He also indulged in a long-standing desire to familiarize himself with the construction and playing technique of orchestral instruments. These studies prompted him to write a textbook on orchestration. He used the privileges of rank to exercise and expand upon his knowledge. He discussed arrangements of musical works for military band with bandmasters, encouraged and reviewed their efforts, held concerts at which he could hear these pieces, and orchestrated original works, and works by other composers, for military bands. In the summer of 1877, Rimsky-Korsakov thought increasingly about the short story May Night by Nikolai Gogol. The story had long been a favorite of his, and his wife Nadezhda had encouraged him to write an opera based on it from the day of their betrothal, when they had read it together. While musical ideas for such a work predated 1877, now they came with greater persistence. By winter May Night took an increasing amount of his attention; in February 1878 he started writing in earnest, and he finished the opera by early November. By the winter of 1883 Rimsky-Korsakov had become a regular visitor to the weekly "quartet Fridays" ("Les Vendredis") held at Belyayev's home in Saint Petersburg. Belyayev, who had already taken a keen interest in the musical future of the teenage Alexander Glazunov, rented a hall and hired an orchestra in 1884 to play Glazunov's First Symphony plus an orchestral suite Glazunov had just composed. This concert and a rehearsal the previous year gave Rimsky-Korsakov the idea of offering concerts featuring Russian compositions, a prospect to which Belyayev was amenable. The Russian Symphony Concerts were inaugurated during the 1886–87 season, with Rimsky-Korsakov sharing conducting duties with Anatoly Lyadov. He finished his revision of Mussorgsky's Night on Bald Mountain and conducted it at the opening concert. The concerts also coaxed him out of his creative drought; he wrote Scheherazade, Capriccio Espagnol and the Russian Easter Overture specifically for them. He noted that these three works "show a considerable falling off in the use of contrapuntal devices ... [replaced] by a strong and virtuoso development of every kind of figuration which sustains the technical interest of my compositions." Toward music more adventurous than Wagner's, especially that of Richard Strauss and later Claude Debussy, Rimsky-Korsakov's mind remained closed. He would fume for days afterwards when he heard pianist Felix Blumenfeld play Debussy's Estampes and write in his diary about them, "Poor and skimpy to the nth degree; there is no technique, even less imagination." This was part of an increasing musical conservatism on his part (his "musical conscience," as he put it), under which he now scrutinized his music and that of others', as well. Compositions by his former compatriots in The Five were not immune. While working on his first revision of Mussorgsky's Boris Godunov, in 1895 he would tell his amanuensis, Vasily Yastrebtsev, "It's incredible that I ever could have liked this music and yet it seems there was such a time." By 1901 he would write of growing "indignant at all [of Wagner's] blunders of the ear"—this about the same music which caught his attention in 1889. 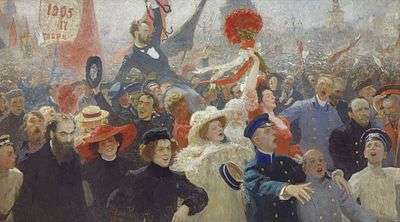 In 1905, demonstrations took place in the St. Petersburg Conservatory as part of the 1905 Revolution; these, Rimsky-Korsakov wrote, were triggered by similar disturbances at St. Petersburg State University, in which students demanded political reforms and the establishment of a constitutional monarchy in Russia. "I was chosen a member of the committee for adjusting differences with agitated pupils", he recalled; however, almost as soon as the committee had been formed, "[a]ll sorts of measures were recommended to expel the ringleaders, to quarter the police in the Conservatory, to close the Conservatory entirely". Not long after Rimsky-Korsakov's dismissal, a student production of his opera Kashchey the Deathless was followed not with the scheduled concert but with a political demonstration, which led to a police ban on Rimsky-Korsakov's work. Due in part to widespread press coverage of these events, an immediate wave of outrage against the ban arose throughout Russia and abroad; liberals and intellectuals deluged the composer's residence with letters of sympathy, and even peasants who had not heard a note of Rimsky-Korsakov's music sent small monetary donations. Several faculty members of the St. Petersburg Conservatory resigned in protest, including Glazunov and Lyadov. Eventually, over 300 students walked out of the Conservatory in solidarity with Rimsky-Korsakov. By December he had been reinstated under a new director, Glazunov; Rimsky-Korsakov retired from the Conservatory in 1906. The political controversy continued with his opera The Golden Cockerel. Its implied criticism of monarchy, Russian imperialism and the Russo-Japanese War gave it little chance of passing the censors. The premiere was delayed until 1909, after Rimsky-Korsakov's death, and even then it was performed in an adapted version. Beginning around 1890, Rimsky-Korsakov suffered from angina. While this ailment initially wore him down gradually, the stresses concurrent with the 1905 Revolution and its aftermath greatly accelerated its progress. After December 1907, his illness became severe, and he could not work. 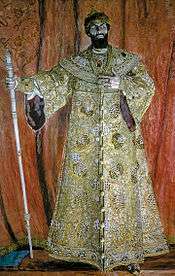 In 1908 he died at his Lubensk estate near Luga (modern day Plyussky District of Pskov Oblast), and was interred in Tikhvin Cemetery at the Alexander Nevsky Monastery in Saint Petersburg, next to Borodin, Glinka, Mussorgsky and Stasov. Rimsky-Korsakov maintained an interest in harmonic experiments and continued exploring new idioms throughout his career. However, he tempered this interest with an abhorrence of excess and kept his tendency to experiment under constant control. The more radical his harmonies became, the more he attempted to control them with strict rules—applying his "musical conscience", as he called it. In this sense, he was both a progressive and a conservative composer. The whole tone and octatonic scales were both considered adventurous in the Western classical tradition, and Rimsky-Korsakov's use of them made his harmonies seem radical. Conversely, his care about how or when in a composition he used these scales made him seem conservative compared with later composers like Igor Stravinsky, though they were often building on Rimsky-Korsakov's work. Program music came naturally to Rimsky-Korsakov. To him, "even a folk theme has a program of sorts." He composed the majority of his orchestral works in this genre at two periods of his career—at the beginning, with Sadko and Antar (also known as his Second Symphony, Op. 9), and in the 1880s, with Scheherezade, Capriccio Espagnol and the Russian Easter Overture. Despite the gap between these two periods, the composer's overall approach and the way he used his musical themes remained consistent. Both Antar and Scheherezade use a robust "Russian" theme to portray the male progagonists (the title character in Antar; the sultan in Scheherezade) and a more sinuous "Eastern" theme for the female ones (the peri Gul-Nazar in Antar and the title character in Scheherezade). Rimsky-Korsakov composed dozens of art songs, arrangements of folk songs, chamber and piano music. While the piano music is relatively unimportant, many of the art songs possess a delicate beauty. While they yield in overy lyricism to Tchaikovsky and Rachmaninoff, otherwise they reserve their place in the standard repertory of Russian singers. Rimsky-Korsakov also wrote a body of choral works, both secular and for Russian Orthodox Church service. The latter include settings of portions of the Liturgy of St. John Chrysostom. 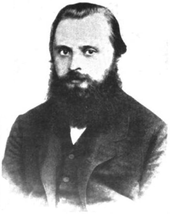 Critic Vladimir Stasov, who along with Balakirev had founded The Five, wrote in 1882, "Beginning with Glinka, all the best Russian musicians have been very skeptical of book learning and have never approached it with the servility and the superstitious reverence with which it is approached to this day in many parts of Europe." 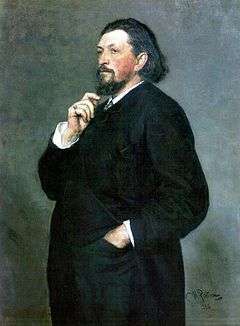 This statement was not true for Glinka, who studied Western music theory assiduously with Siegfried Dehn in Berlin before he composed his opera A Life for the Tsar However, it was true for Balakirev, who "opposed academicism with tremendous vigor," and it was true initially for Rimsky-Korsakov, who had been imbued by Balakirev and Stasov with the same attitude. About a talent for composition ... I can say nothing as yet. You have tried your powers too little.... Yes, one can study on one's own. Sometimes one needs advice, but one must study ... All of us, that is, I myself and Borodin, and Balakirev, and especially Cui and Mussorgsky, did disdain these things. I consider myself lucky that I bethought myself in time and forced myself to work. As for Balakirev, owing to his insufficient technique he writes little; Borodin, with difficulty; Cui, carelessly; and Mussorgsky, sloppily and often incoherently." Taruskin points out this statement, which Rimsky-Korsakov wrote while Borodin and Mussorgsky were still alive, as proof of his estrangement from the rest of The Five and an indication of the kind of teacher he eventually became. By the time he instructed Liadov and Glazunov, "their training hardly differed from [Tchaikovsky's]. An ideal of the strictest professionalism was instilled in them from the beginning." By the time Borodin died in 1887, the era of autodidactism for Russian composers had effectively ended. Every Russian who aspired to write classical music attended a conservatory and received the same formal education. "There was no more 'Moscow,' no 'St. Petersburg.' " Taruskin writes; "at last all Russia was one. Moreover, by century's end, the theory and composition faculties of Rubinstein's Conservatory were entirely in the hands of representatives of the New Russian School. Viewed against the background of Stasov's predictions, there could scarcely be any greater irony." 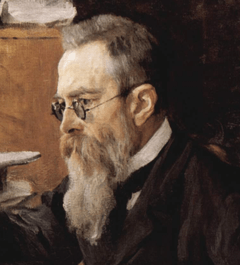 Rimsky-Korsakov taught theory and composition to 250 students over his 35-year tenure at the Saint Petersburg Conservatory, "enough to people a whole 'school' of composers." This does not include pupils at the two other schools where he taught, including Glazunov, or those he taught privately at his home, such as Igor Stravinsky. Apart from Glazunov and Stravinsky, students who later found fame included Anatoly Lyadov, Alexander Spendiaryan, Sergei Prokofiev, Ottorino Respighi, Witold Maliszewski, Mykola Lysenko, Artur Kapp, and Konstanty Gorski. Other students included the music critic and musicologist Alexander Ossovsky, and the composer Lazare Saminsky. Musicologist Francis Maes wrote that while Rimsky-Korsakov's efforts are laudable, they are also controversial. It was generally assumed that with Prince Igor, Rimsky-Korsakov edited and orchestrated the existing fragments of the opera while Glazunov composed and added missing parts, including most of the third act and the overture. This was exactly what Rimsky-Korsakov stated in his memoirs. However, both Maes and Richard Taruskin cite an analysis of Borodin's manuscripts by musicologist Pavel Lamm, which showed that Rimsky-Korsakov and Glazunov discarded nearly 20 percent of Borodin's score. According to Maes, the result is more a collaborative effort by all three composers than a true representation of Borodin's intent. Lamm stated that because of the extremely chaotic state of Borodin's manuscripts, a modern alternative to Rimsky-Korsakov and Glazunov's edition would be extremely difficult to complete. Rimsky-Korsakov may have saved the most personal side of his creativity for his approach to Russian folklore. Folklorism as practiced by Balakirev and the other members of The Five had been based largely on the protyazhnaya dance song. Protyazhnaya literally meant "drawn-out song", or melismatically elaborated lyric song. The characteristics of this song exhibit extreme rhythmic flexibility, an asymmetrical phrase structure and tonal ambiguity. After composing May Night, however, Rimsky-Korsakov was increasingly drawn to "calendar songs", which were written for specific ritual occasions. The ties to folk culture was what interested him most in folk music, even in his days with The Five; these songs formed a part of rural customs, echoed old Slavic paganism, and the pantheistic world of folk rites. Rimsky-Korsakov wrote that his interest in these songs was heightened by his study of them while compiling his folk song collections. He wrote that he "was captivated by the poetic side of the cult of sun-worship, and sought its survivals and echoes in both the tunes and the words of the songs. The pictures of the ancient pagan period and spirit loomed before me, as it then seemed, with great clarity, luring me on with the charm of antiquity. These occupations subsequently had a great influence in the direction of my own activity as a composer". 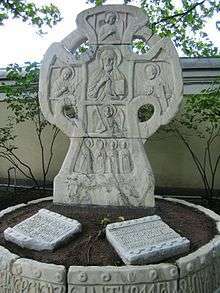 Musicologists and Slavicists have long recognized that Rimsky-Korsakov was a pantheistic and ecumenical artist whose folklore-inspired operas take up such issues as the relationship between paganism and Christianity and the seventeenth-century schism in the Orthodox Church. At heart he held pantheistic beliefs, often mistaken for a form of atheism, which had its most visible manifestation in his deep reverence of folk culture, especially pantheistic rites. There are several biographical museums in the places connected with his life: namely, his memorial house in Tikhvin in the present Leningrad oblast to the east of Saint Petersburg, and his memorial museum apartment in downtown Saint Petersburg in Zagorodniy prospect, the latter being a branch of St.Petersburg State Museum of Theatre and Music. The composer's name has been given to a street in central Saint Petersburg – prospekt Rimskogo-Korsakova in Vladimirsky Municipal Okrug. Most importantly for the country's musical culture, his name was given to the renowned highest music teaching institution of the city - Nikolay Rimsky-Korsakov Saint Petersburg Conservatory, the oldest one in Russia. ↑ Russia was using old style dates in the 19th century, and information sources used in the article sometimes report dates as old style rather than new style. Dates in the article are taken verbatim from the source and are in the same style as the source from which they come. ↑ The Five, also known as The Mighty Handful or The Mighty Coterie, refers to a circle of composers who met in Saint Petersburg, Russia, in the years 1856–1870: Mily Balakirev (the leader), César Cui, Modest Mussorgsky, Nikolai Rimsky-Korsakov, and Alexander Borodin. ↑ This is not the first symphony by a Russian: Anton Rubinstein composed his first symphony in 1850 (Figes, 391). 1 2 3 4 5 6 7 8 9 10 11 12 13 Frolova-Walker, New Grove (2001), 21:409. 1 2 Taruskin, Music, 166. 1 2 Abraham, New Grove (1980), 16:27. 1 2 3 4 5 6 7 8 9 10 11 12 13 14 15 16 17 Frolova-Walker, New Grove (2001), 21:400. ↑ Rimsky-Korsakov, My Musical Life, 8. 1 2 Rimsky-Korsakov, My Musical Life, 16. ↑ Calvocoressi and Abraham, Masters of Russian Music, 342. 1 2 Rimsky-Korsakov, My Musical Life, 58–59. 1 2 3 4 5 6 7 8 9 10 Abraham, New Grove (1980), 16:28. 1 2 Rimsky-Korsakov, My Musical Life, 29. 1 2 3 4 Rimsky-Korsakov, My Musical Life, 21. 1 2 3 4 5 6 7 8 9 Frolova-Walker, New Grove (2001), 21:401. 1 2 3 Zetlin, 195. 1 2 Rimsky-Korsakov, My Musical Life, 119. 1 2 3 4 5 6 7 Abraham, New Grove (1980), 16:29. ↑ "Nikolai Rimsky-Korsakov, continued". symphonyinc.org. Retrieved 6 September 2011. 1 2 3 Neff, New Grove (2001), 21:423. 1 2 3 4 Rimsky-Korsakov, My Musical Life, 136. ↑ Rimsky-Korsakov, My Musical Life, 141–142. 1 2 3 4 5 Leonard, 149. 1 2 As quoted in Brown, Crisis Years, 229. 1 2 3 Rimsky-Korsakov, My Musical Life, 151. 1 2 3 4 5 6 7 8 Frolova-Walker, New Grove (2001), 21:402. 1 2 Rimsky-Korsakov, My Musical Life, 166. 1 2 3 4 5 6 7 Maes, 171. 1 2 Taruskin, Stravinsky, 42. 1 2 Brown, Final Years, 91. 1 2 Taruskin, Stravinsky, 31. ↑ As quoted in Holden, 64. 1 2 3 Abraham, New Grove (1980), 16:30. ↑ As quoted in Taruskin, Stravinsky, 55. 1 2 3 4 Maes, 180. ↑ As quoted in Taruskin, Stravinsky, 40. 1 2 3 4 5 6 Abraham, New Grove, 16:31. 1 2 3 4 Rimsky-Korsakov, My Musical Life, 411. 1 2 3 Frolova-Walker, New Grove (2001), 21:405. 1 2 Rimsky-Korsakov, My Musical Life, 412. 1 2 3 4 Abraham, New Grove (1980), 16:32. 1 2 3 4 5 6 7 Frolova-Walker, New Grove (2001), 21:406. 1 2 3 4 5 Maes, 178. 1 2 Abraham, New Grove (1980), 16:33. ↑ As quoted in Taruskin, Stravinsky, 24. 1 2 Taruskin, Stravinsky, 29. ↑ As quoted in Taruskin, Stravinsky, 33. 1 2 Taruskin, Stravinsky, 34. 1 2 3 4 5 6 7 8 Maes, 187. ↑ Morrison, Simon (1 January 2002). "Review of The Complete Sacred Choral Works". Notes. 58 (4): 939–942. JSTOR 900592 – via JSTOR. Leonard, Richard Anthony, A History of Russian Music (New York: Macmillan, 1957). Library of Congress Card Catalog Number 57-7295. Wikimedia Commons has media related to Nikolai Rimsky-Korsakov.